Home / Student Questions / How Long is a Short Essay? How long is the short essay? With all things relative in this day and age, one man’s short might be another man’s long—so let’s settle the matter once and for all and affirm without equivocation that the short essay is…well, you know, it actually kind of depends…. Let’s start off with what we know. We know that the short essay is not supposed to be an extensive paper. That means it should be quick and to the point. No need for a great deal of research. No need for more than 3 body paragraphs. Can you get away with 3 paragraphs total? Maybe. Let’s assume a short answer is one paragraph, two at most. (A short answer is different from a short essay, remember.) A regular essay will be 3 pages at least. If we use those two examples as extremes, we can confidently say that a short essay will be somewhere in the middle—roughly 2 pages, give or take. There are roughly 300 words per every double-spaced page of Times New Roman 12 point font print. That means a 1 page essay will get you about 300 words. A 2 page essay will get you about 600 words. A 3 page essay will get you about 900 words. If you’re going over 3 pages, just know that you’re no longer writing a short essay—you’re writing a regular old essay. So let’s go back. How many ideas can you pack into 300 words? So far in this article I’ve written about 250 words. What did I get for all that? I got a hook—that was my first line. I followed that up with some background information, laying the groundwork for a more thorough investigation of the matter. Then I established a sense of what a short essay should look like in terms of length. The point is you can do quite a bit in 300 words—but really a 300 word essay is more like a short answer or short response than it is a short essay. There is not a lot of room to introduce an idea, develop it, and conclude it. To do all that, you’ll need more words, which means more pages. To introduce a topic, develop it and conclude it, you’ll want at least 2 pages—approximately 600 words. In that amount of space, you can write anywhere between 3 and 5 solid paragraphs. The 3 paragraph short essay consists of an introductory paragraph, a body paragraph and a concluding paragraph. The first paragraph states the main idea of the essay, the second paragraph provides the support and the third paragraph summarizes the main points. That’s more or less the formula for the 3 paragraph short essay—but because it is in effect so short, you can dispense with introduction and conclusion altogether and just launch right into the main points. Typically, this kind of short essay is written in response to an essay question provided by your professor—so you can get away with just answering the question and forgetting the typical formalities of the finely-tuned essay. But then what separates this type of short essay from a short answer? Not much. That’s why if you’ve been tasked with writing a short essay you’re probably better off sticking with the 5 paragraph format. The 5 paragraph short essay allows you both to keep your essay short and to adhere to the formalities of the essay structure—with introduction, body, and conclusion. Your intro will consist of a brief paragraph in which you highlight your purpose/thesis. The body follows—with three body paragraphs, each one providing support for your thesis and each one having its own topic sentence. Lastly, you wrap it up with a conclusion, in which you re-state your main idea and how you supported that idea in the body of the paper, using different words, of course (you don’t want to simply copy and paste what you wrote earlier in the paper for your conclusion—that’s bad form!). How many words should this take? About 600—but you can go up to 900 if you like. You can safely and effectively develop a 5 paragraph short essay in the space of 900 words—i.e., 3 pages. The short essay is one of the most common types of writing that students will do in college. It’s meant to be a quick demonstration of your knowledge of concepts or subjects and shouldn’t require you to do a lot of research. Oftentimes, it’s used as a type of response essay: you read something in class then write out a short essay in response to what you read, integrating other ideas from class into what you learned from the reading. 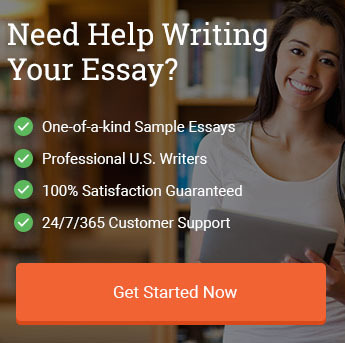 Need help writing your short essay? No worries. It may not seem like much, but for someone not used to writing, this little mole hill can quite easily turn into a mountain. Don’t sweat it—let us help! Our model essay writers are highly-skilled professionals who take any subject, research it, and provide our clients with a customized essay that fits their needs. You’ve got an essay to write? We’ve got writers who can show you how to do it. Next time you’ve got a short essay to pen and don’t know which way to go—come to us and let our model essay writers show you the way! "How Long is a Short Essay?." Aceyourpaper.com. Student Network Resources Inc, 23 May. 2018. Web. 20 April 2019. Student Network Resources Inc. "How Long is a Short Essay?." Aceyourpaper.com. https://www.aceyourpaper.com/student-questions/how-long-is-a-short-essay/ (accessed April 20, 2019).